We get through an incredible amount of body wash in our house - I blame my boyfriend, who uses excessive amounts of everything - body wash, toothpaste, deodorant, you name it - he's very generous and liberal in his application. I guess I should be thankful that at least he'll always smell fresh! So as he's a bit of a shower gel connoisseur, he was more than happy to help me test out the Foamburst luxurious body wash range from Imperial Leather. There are seven scents in the range, so really something for everyone ranging from girlie fragrances like sweet vanilla & cherry blossom fig, to the more unisex bergamont and sea minerals. We tried out moisturising honey & almond milk, bewitching blackberry & wild fig and uplifting lime & grapefruit. I thought I'd like the honey and almond milk one the most, it is lovely, but actually my favourite is the uplifting lime & grapefruit because it's so zingy and fresh and the scent is really strong. 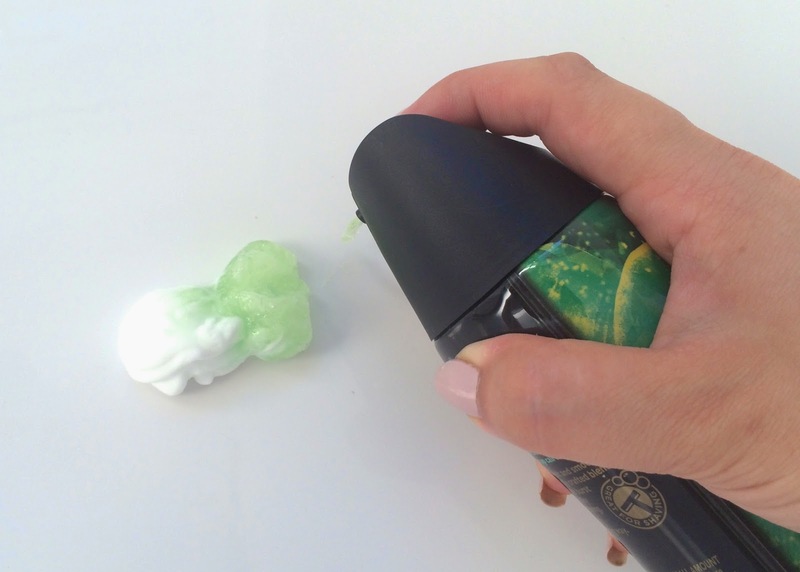 Unlike a normal shower gel or body wash, the foamburst body washes are packed into an aerosol can and you just need one squirt to get this amount of fluffy product. 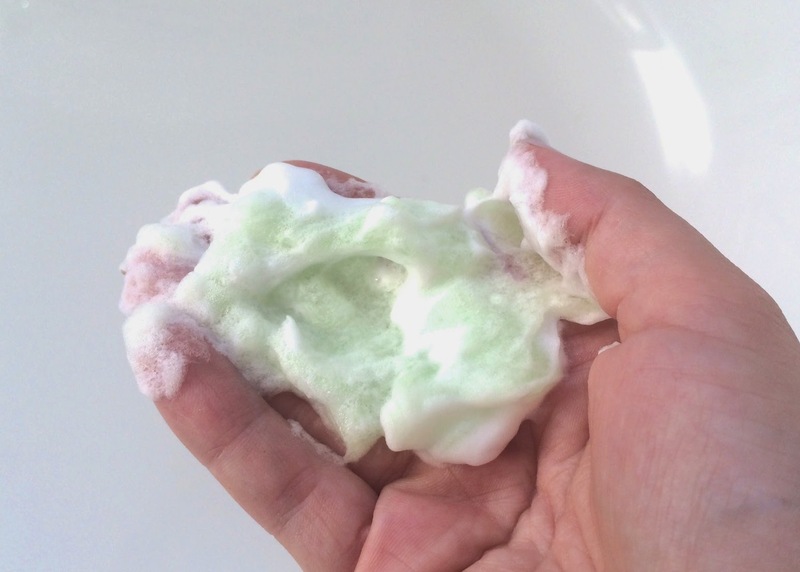 Part foam and part gel, these really lather up like crazy in the shower, and even Dan only used three pumps of this for a shower - still more than normal people would need though! Because the product is compressed into the can you don't really that you're actually getting a full 200ml, and as it comes out as a foam, I think one can would last ages. 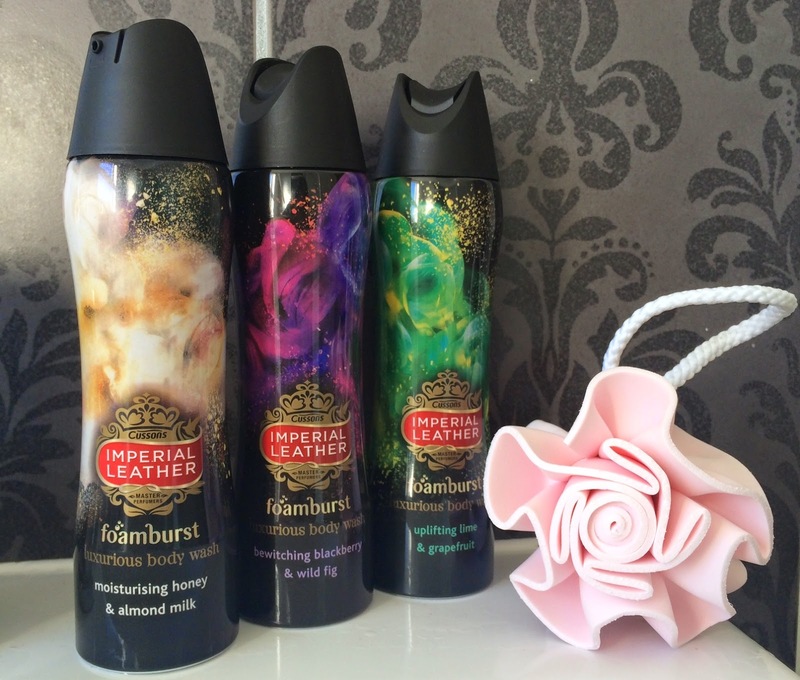 Each of the body washes in the Foamburst range has its own genie, each with a unique presonality, to represent the different scents, and there's a video of each genie on the Imperial Leather website. My favourite foamburst genie is Blaise - he's a bit like a charicature of Jack Bauer - and he's rather hot! You can see his video here on youtube - Foamburst genie, Blaise and you can also check out the other genies - Brennus and Sebastian are also well worth a watch! Foamburst luxurious body washes are available now at £2.99 each, or you can currently find them on offer at Superdrug for £2. I really like the sound of the Honey & Almond milk! I love these type of shower gels. Rituals do an amazing range and some good scents. They are brilliant for when you are shaving your legs as well as they double up as a moisturising shaving foam. Will defo give these a try if I can get them on offer. Good tip - I didn't think of that! That sounds so cool! We do not have *anything* like that here, at all. Your boyfriend sounds like my husband, lol; he goes through bottles after bottles of body wash so quickly. When I ask him HOW, he'd answer, "It's because I'm bigger than you, so my body needs more products." Haha yep, I get the same excuse! Maybe we should do a UK / US swap some time? I'm using Korres Fig body wash at the moment and it smells delicious! 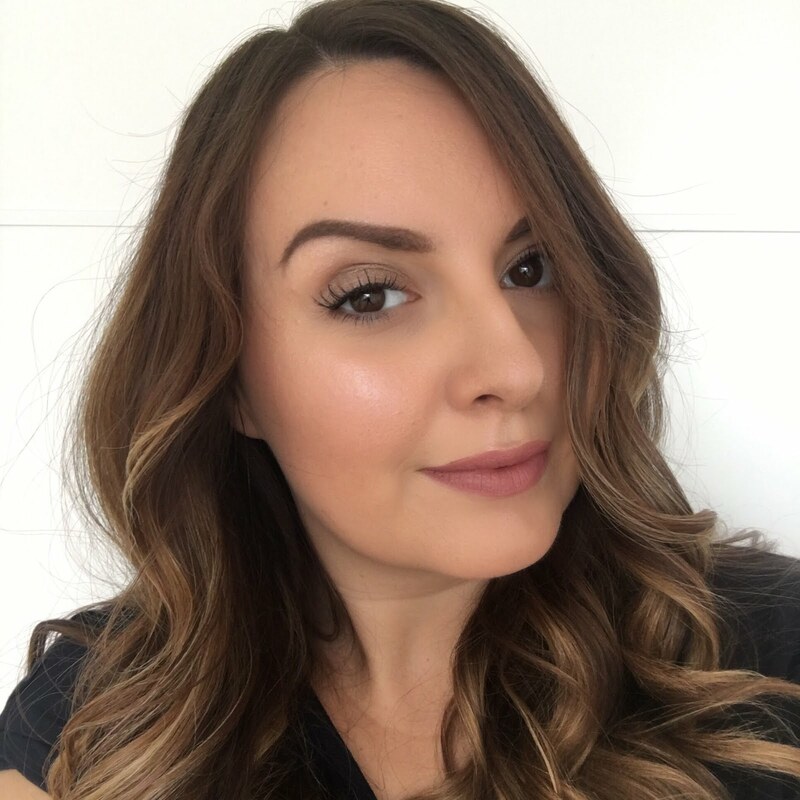 My IMATS London 2014 experience and haul! My first visit to IMATS London! May / June summer 2014 primark haul!